Description: The Kapil Sharma Show is a Indian Hindi stand-up comedy and talk show television series, which is scheduled to premiere on 23 April 2016 and will be broadcast on Sony TV and Sony TV Asia. The series will be produced by K9 Productions of Kapil Sharma. The series will be aired on every Saturday and Sunday nights. 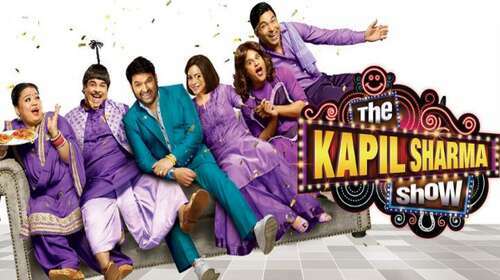 The First promo of the show was launched by Kapil Sharma and his team on 1 March 2016. Besides Kapil, the show stars Ali Asgar, Sunil Grover, Kiku Sharda, Sumona Chakravarti, Chandan Prabhakar, while Navjot Singh Sidhu serves as the permanent guest. The first episode of the show will be shot in delhi, and it will be a live show.